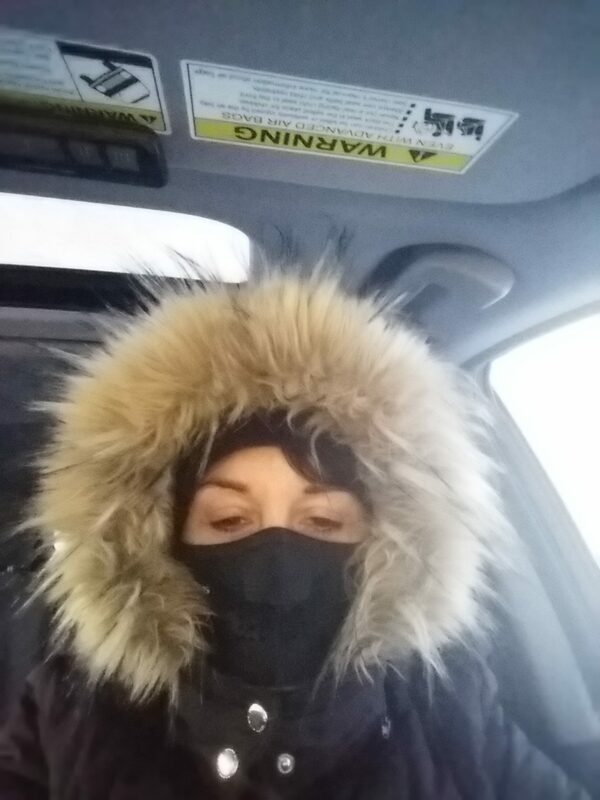 As the Midwest grapples with record-breaking cold, the I.I.I.’s Membership Director, Deena Snell is experiencing the polar vortex firsthand in her hometown near Chicago. “I know you’re all super jealous of the weather we’re having here so I thought I’d share the joy,” she messaged us this morning. 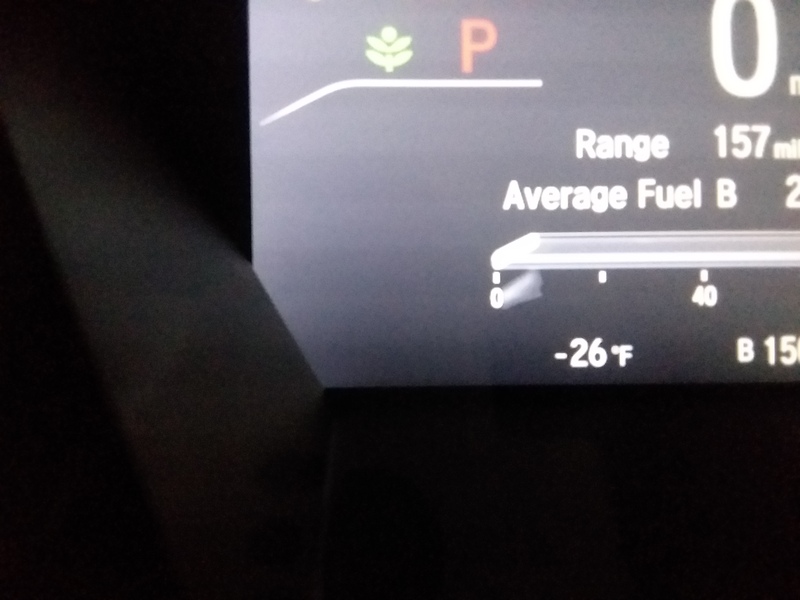 In case you were ever wondering what -26 looks like on a car thermometer, here it is. 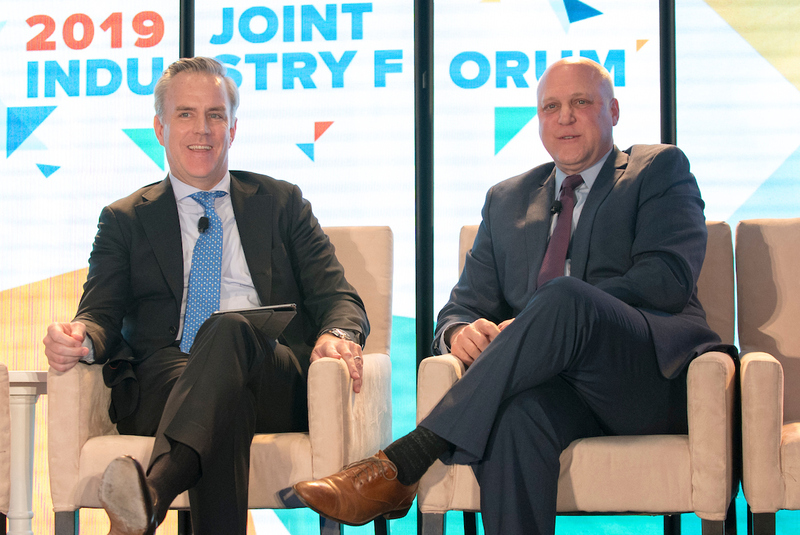 The 2019 Joint Industry Forum concluded its speaker sessions with an informative discussion between Sean Kevelighan, CEO of the Insurance Information Institute and Mitch Landrieu, former Lieutenant Governor of Louisiana and two-term New Orleans Mayor. Leading the city of New Orleans, post Hurricane Katrina, Landrieu learned the importance of building “social resilience” in addition to infrastructure for disaster preparedness, “it is very important to be able to talk to someone quickly after a disaster,” he noted. Resilience and leadership came up as the discussion moved to national politics. “The country works well in partnership and collegiality”, something Landrieu believed was lacking amidst the government shutdown. The collaborative rebuilding effort from neighborhoods to local governments was one of the most important aspects to the lengthy rebuilding period from Hurricane Katrina. When asked about what he would focus on if he were president, Landrieu quickly responded that he, along with most mayors, would likely focus on infrastructure. While witnessing the failure of the levees during Hurricane Katrina, he saw firsthand the devastating affect that poor infrastructure can have. Such failures show the need to build resilience, so that when disaster strikes all parties are better prepared to respond. It’s hard to imagine pitchers and catchers reporting in a mere 12 days while another polar vortex rips through the Midwest. 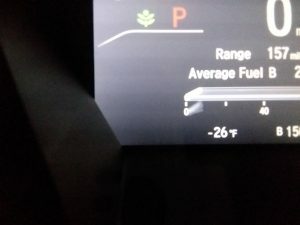 Arctic blasts plunging the thermometer to 27 degrees below zero in some states? It’s safe to say our friends in Minnesota won’t be throwing the baseball around in the backyard this week. But a baseball-less future is probably the least of your worries right now. Extreme cold is dangerous – and expensive, if the pipes in your house freeze and burst. Water damage could cost you as much as $5,000, if not more. There’s a lot you can do to prep for the worst. Consumer Reports has tips for keeping pipes unfrozen and how to thaw them out if they do freeze. The I.I.I. also provides a checklist and a survival guide for winter weather prepping your home. How does insurance handle burst pipes? But if the worst does happen, your homeowners insurance will probably offer some coverage. Damage from burst frozen pipes is usually covered – as long as you’ve taken reasonable steps to prevent the freezing in the first place. Stay warm out there! The 2018 financial results for the property/casualty (P/C) industry were strong. According to Verisk Analytics, private P/C insurers in the U.S. reported a nine-month net underwriting gain of $4.7 billion. The industry combined ratio was 97.3 percent – down from 104.1 percent in 2017. 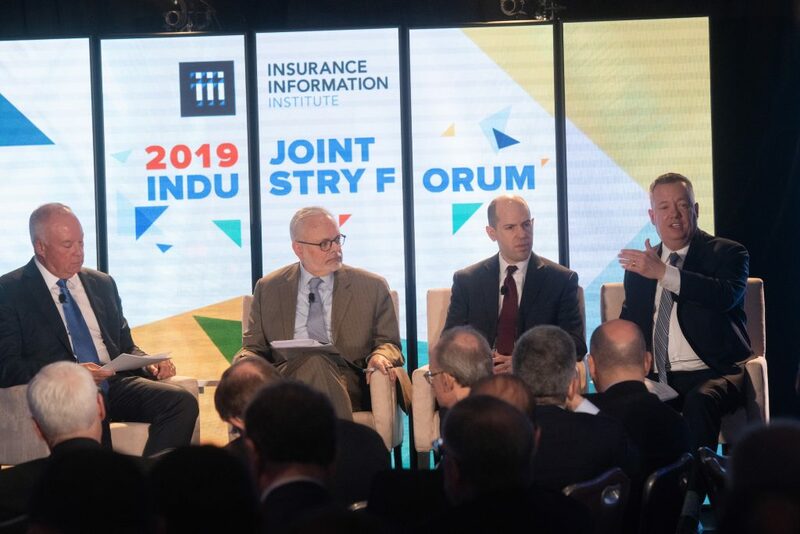 “It’s unusual to have an industry-wide underwriting profit,” said Jay Gelb, managing director at Barclay’s, speaking at a geopolitical risks panel at the 2019 I.I.I. Joint Industry Forum. “But 4Q 2018 is going to be worse.” The insured losses from Hurricane Michael and the disastrous California wildfires will make a dent on industry underwriting results. And in the last two years the total global industry catastrophe losses were about $230 billion, the highest level for any two-year period, Gelb noted. While the industry did well in addressing these catastrophe losses, greater threats may be looming on the horizon for the P/C industry and the economy generally. Panelist David Wessel, director of the Hutchins Center on Fiscal and Monetary Policy and senior fellow at the Brookings Institution, listed a few. In the short term, he expressed concern about the ongoing government shutdown. He also pointed out that, while incoming economic data are strong, the markets are expressing continuing pessimism, assuming higher weight on downside risk for 2019. In the long term, Wessel listed the continuing productivity growth slowdown and climate change as serious threats. Political uncertainty in the U.S. are also reasons for insurers to be concerned, per Huff. There has long been a push to “de-risk” government liabilities and move some of them into the private market, including the National Flood Insurance Program (NFIP), crop insurance, the Terrorism Risk and Insurance Act (TRIA), and earthquake insurance. How this will play out in the current political climate remains to be seen. Gelb included flood and wildfire risks to the equation – both of which may increase in frequency and severity due to climate change. Despite these possible threats, the panelists are keeping a mildly positive outlook for the future. “I think nothing is permanent, fortunately,” Wessel said regarding the current political and economic tensions. In his conversation with the I.I.I. CEO Sean Kevelighan, Quarles stressed that financial stability depends on resilience, the ability to absorb system shocks no matter their source. “Wherever the shock might come from, it’s important that the institution or system is resilient to shock,” he said. Quarles noted that the data on the real economy remains strong. Job creation continues. There’s been an uptick in the labor force participation. The economy is growing without unconstrained inflation. In other words, the hope is that the economy is more resilient to shocks than it had been in the past. You’re familiar with the buzzwords by now. Internet of things. Blockchain. Artificial intelligence. At the 2019 I.I.I. 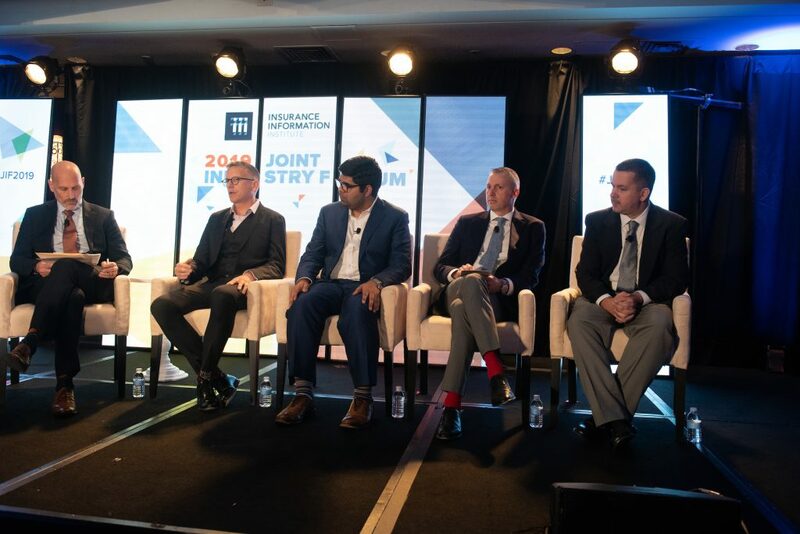 Joint Industry Forum, a panel on artificial intelligence and insurance cut through the buzz. How can AI be used to help build resilient communities? And how can the insurance industry leverage AI to better help customers address risk? Regarding resilience, Ahmad Wani, CEO and co-founder of One Concern, said that AI is being used to harness vast troves of data to identify, on a “hyperlocal level,” the impact of a whole range of hazards. His company is already doing just that, partnering with local governments and insurance companies to better plan for future losses. “We don’t need to wait for disasters to happen to prioritize the response, we need to make changes and to act now before the disaster,” Wani said. 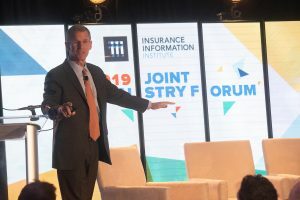 Sean Ringsted, executive vice president, chief digital officer and chief risk officer at the Chubb Group, also pointed out that insurers are already expanding their product offerings thanks to AI and big data. Contingent business interruption, for example: the sheer volume of data can now allow insurers to effectively analyze supply chain risks and price them accordingly. But as Ringsted said, “it’s not all good news and roses.” What sorts of concerns should insurers and the public have about using AI? Kyle Schmitt, managing direct of the global insurance practice at J.D. Power cited consumer concerns with the data and algorithms used for AI-enabled products. Consumers are deeply concerned with the security and privacy of any data they share with insurers. Per Schmitt, consumers also worry about the fairness of AI products, when algorithms instead of people are making decisions in an opaque way. This is the so-called “black box problem” of AI, in which complex algorithms will arrive at answers or decisions without anyone being able to explain how they did so. Ringsted stressed that, for AI to be a viable tool, its mechanisms will need to be explainable to regulators and the public. James Roche, vice president, personal lines product development at ISO, echoed this sentiment: social responsibility requires both robust data stewardship and strict control over AI outputs to ensure that outcomes are fair and within ethical standards. 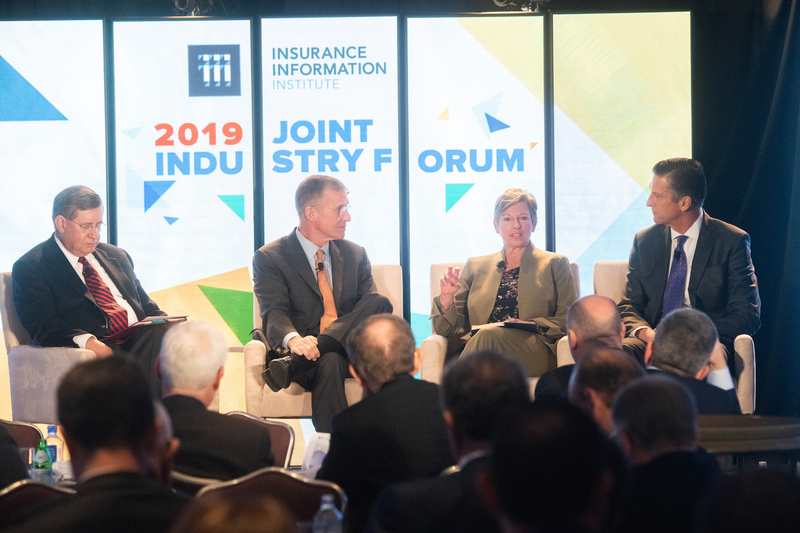 One of the most interesting parts of I.I.I.’s Joint Industry Forum conference was the CEO Conversations, a panel discussion moderated by David Sampson, President and CEO of American Property Casualty Insurance Association. 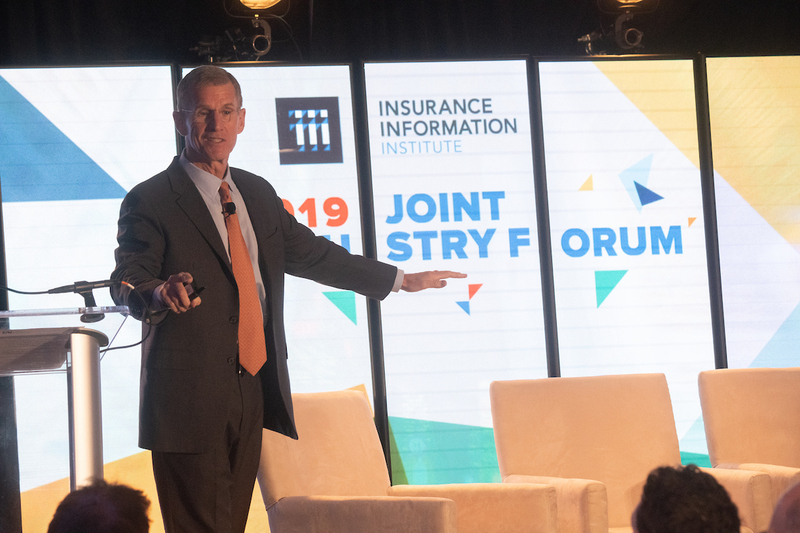 The panelists were: Sandy Parrillo, President and CEO, Providence Mutual; Hank Watkins, President, Lloyd’s America and four-star General Stanley McChrystal who was also the event’s keynote speaker. The panel discussed some of the top challenges and opportunities facing the insurance industry today. It’s well known that insurers are concentrating on recruiting new talent, but Sandy Parrillo also pointed out the value of keeping “vintage workers” engaged and helping them adapt to different styles of work. Parrillo also spoke about the need to involve and get buy-in from all levels of employees when rolling out a new product. 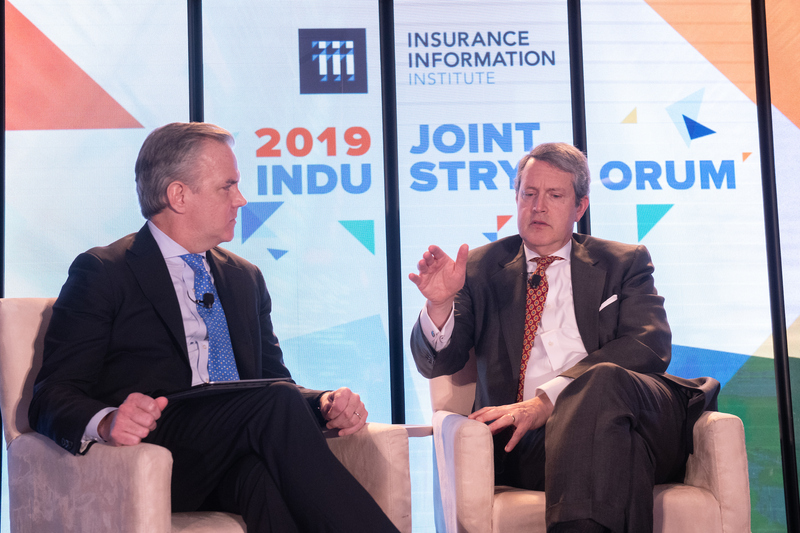 Hank Watkins spoke about the insurance gap which poses a significant threat to global prosperity, especially in developing nations such as earthquake-prone Ecuador, as one of the top challenges to our industry. And on the positive side, Watkins gave Jumpstart Recovery’s earthquake coverage as an example of an innovative new product. Jumpstart is a surplus lines insurance broker using Lloyd’s capacity. It offers earthquake insurance in California with payment that’s triggered by an earthquake of a pre-specified intensity without the traditional claims handling process. General McChrystal brought the conversation back to leadership. He recalled the characteristics of one of the most important leaders in his career – a tough commander who did not have much positive feedback to give when his subordinates did a good job. However, when McCrystal failed at a task, the commander surprised him by saying “I thought you did great!” Being given the freedom to fail means you can try different things and ultimately succeed. Each year the I.I.I. hosts a conference called the Property/Casualty Joint Industry Forum. This unique event assembles key figures from the business, policymaking and media spheres to explore topics of vital interest to our industry. This year we were fortunate to have four-star General Stanley McChrystal as keynote speaker. General McChrystal was the commander of Joint Special Operations Command (JSOC) and International Security Assistance Force. He shared crucial lessons on leadership which he acquired while leading the effort against Al Qaeda in Iraq. Violate the chain of command. Giving everyone in your organization the information you normally only give the C-suite leads to “empowered execution”. In our fast-paced world there is not always time to let everything trickle down a long chain of command. Give employees the freedom to use their own judgement. “Execute the order, but if the order is wrong, execute the order we should have given you.” Don’t allow “just following procedure” to be an excuse for actions that are wildly inappropriate for the situation. Think of the role of leader as akin to that of a gardener. A gardener does not grow plants, only plants can do that. Instead, a gardener feeds, weeds and protects the plants thereby allowing them to do what they do best. By enabling the organization you will be sure to see a positive outcome, concluded McChrystal. The Workers Compensation Research Institute (WCRI) is holding its 35th Annual Issues and Research Conference on February 28th at the Renaissance Phoenix Downtown in Phoenix, AZ. Anyone working to improve workers’ compensation systems or seeking to manage a changing environment would benefit from attending. Click here to learn more about the conference agenda or to register.